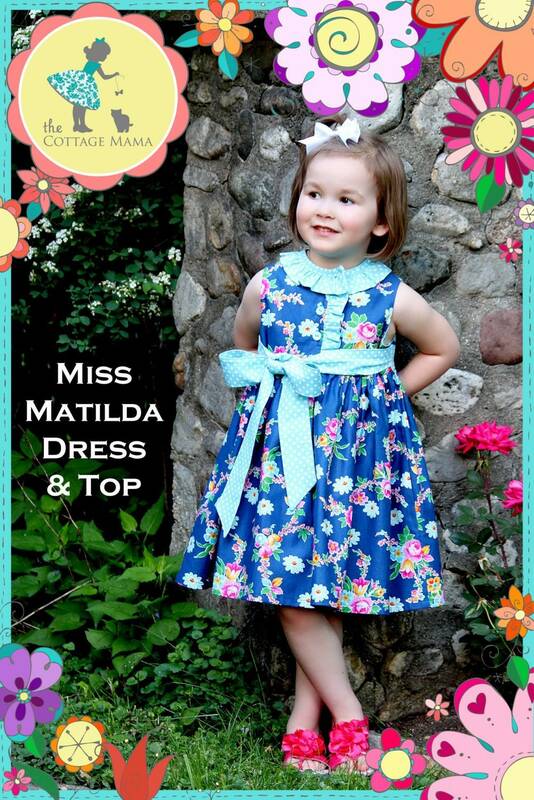 The Miss Matilda Dress and Top is the perfect, classic outfit for your darling little lady. It is feminine and sophisticated while still casual enough for every day. View A, the Miss Matilda Dress, is a knee length gathered skirt dress with a small ruffle running down the front bodice and around the neck. The dress buttons in the front and has a waist sash that ties in the front off to one side. View B, the Miss Matilda Top, features all the sweet details of the Miss Matilda Dress, but is cut at shorter length, below the hip, and can be paired with pants, leggings, shorts or jeans. View C, the Miss Matilda Dress simple variation, is a simplified version of the dress and top pattern. The simple variation eliminates the ruffles around the neck and along the front. This variation could be made with or without the waist sash and with piping throughout different seams in the garment. 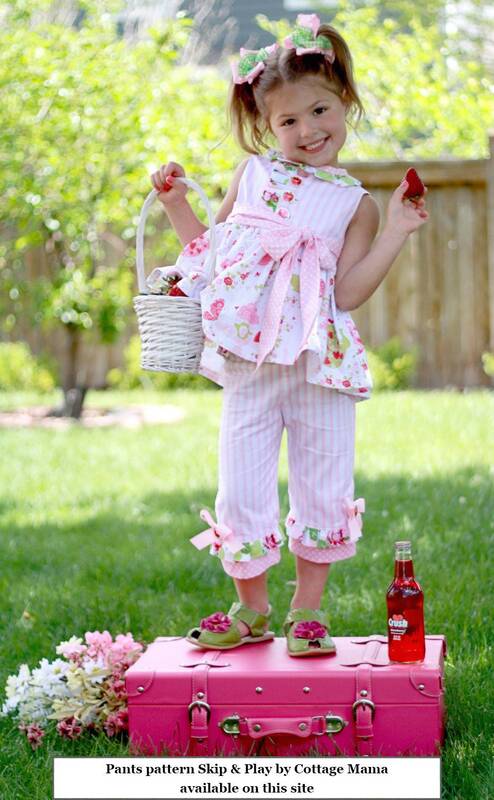 All design variations have a fully lined bodice with contrasting fabric and French seams in the skirt for total comfort for your little one. This is great pattern for confident beginner sewers and offers many ways to get creative with your design! Dress and Top Pattern includes size 6 Month through 10 Years. This is a printed pattern published by The Cottage Mama. Pattern includes full-color front and back cover as well as detailed step-by-step instructions with color photographs. Pattern instructions are in high-quality booklet form and include full size pattern sheets.